Hitman is the sixth game of the Hitman series. 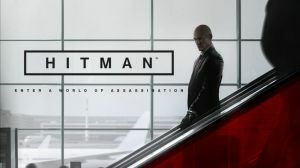 Hitman is a reboot of the franchise following the polarizing Hitman: Absolution which was found by the fans' series as a departure from the sandbox-stealth roots by implementing arcade-like scoring system to appease newcomers. Hitman was announced on the 16th of January 2014, through an open letter from IO interactive addressed to the long-time fans of the series. The game is set to release in digital form in March 2016 for PC, the PlayStation 4, and Xbox One. Retail editions of the game is set to be released late 2016 when all (most) of the content is available. Hitman will follow the episodic format in its release structure akin to how Telltale treats their games (The Walking Dead, The Wolf Among Us, Game of Thrones). Final Fantasy VII Remake is expected to follow the same structure. The first part of the game is available for pre-purchase now in all the platforms where the game is available. Pre-ordering the game (the first part or the entirety of it) will also allow the player to gain access to the Beta of the game. The game is being developed by IO interactive and is published by Square-Enix. Is Hitman (2016) Online-only game? No discussions open for Hitman at the moment.